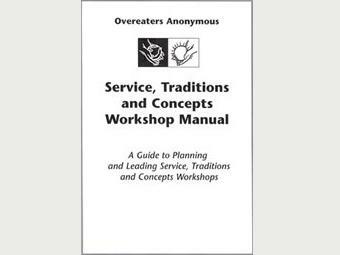 Provides guidance on preparations and scheduling; workshop formats; and commonly asked questions about service, Traditions and Concepts. Includes a new section on the Twelve Concepts, four new workshop formats, transparency masters and script for presentations. Three-hole punched to fit a binder (not included). No discount. This explanation guides members and groups who want to put OA principles into practice.